With one team qualifying for the playoff round on Thursday night, Friday had a lot to live up to, but CSKA Moscow joined Real Madrid in booking their passage out of the Top 16. There were four big games on Friday night and Euroleague basketball betting fans had plenty to be excited about. They may have been clinging on near the end of the game but Zalgiris Kaunas managed to grab their 100th win in the Euroleague with this big win over Panathinaikos. The win moved the home team on to a 4-6 record and they now sit in fifth place in the group. The loss sees Panathinaikos drop down to a 5-5 record and they remain in fourth place. The home side were leading by 14 points in the third quarter but a strong fightback led by Nikos Pappas hauled the away team back into it. The score was tied on three separate occasions in the final quarter and at one point, Pappas actually put the away team into the lead. This was the cue for Arturas Milakinis to notch back to back three pointers that place the home team 4 points with three minutes to go. This was a lead the Lithuanians were able to maintain and Will Cherry grabbed 18 points in the win. Paulius Jankunas offered up 14 points, James Anderson provided 13 points and Milakanis provided 12 points, all of them three pointers. Pappas was the main man for the Greens, grabbing 21 points and he was boosted by Vlantimir Giankovits, who grabbed 11 points and Esteban Batista, who finished with 10 points. 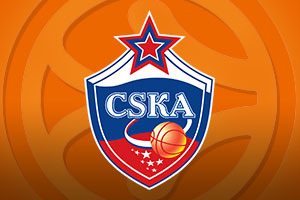 Real Madrid claimed the first playoff spot on Thursday night and on Friday; CSKA Moscow joined the Spanish team in booking their passage beyond the Top 16. The home win over their Turkish rivals out CSKA onto an 8-2 record in Group F and they are now guaranteed to progress. Efes slipped to a 4-6 record and still have a lot to do if they are going to continue their season in the Euroleague. Milos Teodosic was the key player for the home side with 20 points and a total of 9 assists. He was supported by Sasha Kaun, who grabbed 16 points, Sonny Weems who offered up 13 points and Kyle Hines provided 11 points. Vitaly Fridzon also got into double figures with 10 points for the home side. Two players hit 14 points for Efes, Dontaye Draper and Stratos Perperoglou while Nenad Krstic grabbed 13 points. This was a good score against his former team-mates but he would have much preferred to have scored fewer points but been a winner. Other big players for the Turkish side were Dario Saric, who offered up 12 points and 9 rebounds while Thomas Heurtel provided 10 points and 9 assists. While some teams were clinching their playoff spot, Milan reignited their playoff hopes with this narrow home win against Malaga. The Italians moved on to a 3-7 record while Malaga now sit in last place with a 2-8 record. There was a historical moment for the league with Caleb Green grabbing a three pointer in the second quarter which became the 500,000th point scored in the Euroleague. The big run for Milan came in the second half when MarShon Brooks grabbed 14 of 17 points while the home team went on a 11-0 scoring run. Alessandro Gentile was a big player for the home side with 23 points while Samardo Samuels grabbed 19 points. In addition to grabbing the historical points, Green scored 22 points for Malaga, which is a career high for the player. This was a massive away win for Fenerbache, coming as their 7th win in a row and it is also the 9th game away from home that the team has won in a row. There is now a three way tie at the top of Group with Fenerbahce and Olympiacos now sitting alongside CSKA Moscow with an 8-2 record. That was an important element of the win for the Turkish side but another important aspect can be found with the fact that Fenerbahce now have the advantage in the head to head with Olympiacos. Andrew Goudelock served up 24 points for the winners and Nemanja Bjelica offered 16 points and 9 rebounds. Oliver Lafayette was the top scorer for Olympiacos with Bryant Dunstun offering 12 points while Gerogios Printezis grabbed 11. Vassilis Spanoulis provided a whopping 10 assists in the course of the game. The big moment at the end of the came when Bjelica and Emir Preldzic both served up three pointers with 2 minutes left on the clock.